We have learnt that not every family or business situation is the same. Having been in operation for almost 100 years we’ve come to appreciate that rural and regional families and businesses need specialist attention by a team that understands community, the intricacies of living and producing a livelihood on the land, the impact the environment can have on our income, and how to grow and protect our income and assets. C & W Financial Services is the only true complete financial services firm in the north-west that has all the specialists you need to look after and grow your financial needs now, and into the future, all under the one roof. However, being in the country does not isolate you from the latest and best ideas. Our affiliations with Chartered Accountants and the Hayes Knight Network not only enables us to stay abreast of relevant legislative changes and practice management developments, it also allows us to exchange innovative, proven strategies with some of the best and brightest in Australia. ‘C&W Financial Services makes my life easier. I don’t need to travel to Sydney or Brisbane to get the best advice. Trent and his team understand my business and my needs – so why would I go anywhere else? It makes sense to stay local’. ​‘C&W Financial Services have been looking after all of our business and personal accounting requirements for several years. In this time C&W Financial Services has proven to be a thorough, professional and very knowledgeable in all areas of accounting. As our company has grown, C&W Financial Services has been able to provide us with all the necessary advice and guidance that is needed to ensure the continued success of our business. In my experience the level of service and professionalism provided by C & W Financial Services is second to none. I would not hesitate in recommending C&W Financial Services to anyone who is looking for highly skilled, professional accountants and business advisers’. 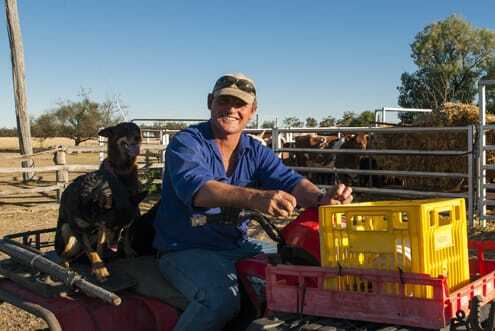 ​McGregor Gourlay Agricultural Services are one of the States leading independent distributors of Ag-chemical, fertiliser and farm merchandise. The business has recently Grown from 8 branches to 12 with expansion into the northern rivers area of NSW. We are extremely content in having C&W Financial Services as business partners moving forward’. “We have been working with Trent for our financial planning needs since mid 2014. In that time we have significantly reduced our home loan, been able to go on a trip to the US, purchased a Harley and are looking at doing some renovations. The great part about the strategy he developed for us is that he didn’t tell us we had to cut our spending, instead use what we have to create additional income, reduce our home loan much faster, reduce our tax and live the lifestyle we want to live." "Carita and I have entrusted C & W for our financial planning for some years. When I was diagnosed with thyroid cancer in 2014 and Carita was pregnant with our son Cooper, it was a big relief to be able to call Trent and make a claim on my Trauma Insurance. It didn't solve all our worries at the time, but having a lump sum of money come in sure gave us one less thing to worry about at a pretty concerning time." © Copyright 2017 C&W Financial Services - All Rights Reserved.